During the summer a total of seven Westside Exchanges were held at various locations throughout the West Valley. The finals were held at Glendale Community College on August 10th and over 100 players were able to participate. Players ranged from third graders playing in their first full court beginners matches to just graduated high school players in intermediate and advanced matches. Every exchanged involved at least one singles and several doubles matches. Score was kept on how many games were won, with the level winners being the top three point getters in each division. Julio Herrera, a 2007 graduate of Trevor Browne High School, and Jaylee Conlin, a junior at Deer Valley High School, were the Masters Champions. Also at the Masters event, Glendale Community College's men’s and women’s tennis teams each donated a tennis bag to be raffled off, and lots of fruit and ice cream were eaten. 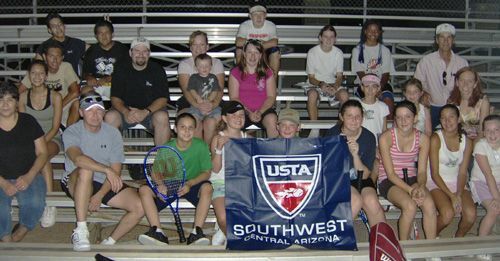 The USTA Southwest section provided a grant that was used for tropies for these events. 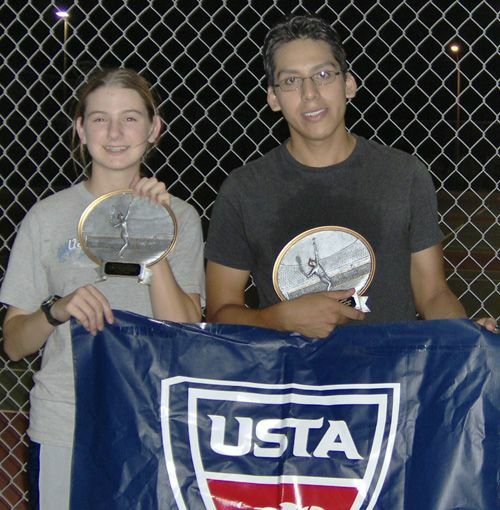 Many of the Westside Exchange players plan to participate in the USTA Central Arizona satellite and novice tournaments held in the fall. Both the Deer Valley High School tennis coach and the Trevor Browne High School tennis coach made sure many of their players participated, and some of the programs from Goodyear and Avondale also had players.